I’m glad I’ve fund your podcast through “East Screen West Screen”. I don’t think i’ve ever heard such a extensive podcast on a single movie, yet learned so much about the genre and the local culture of the time period. 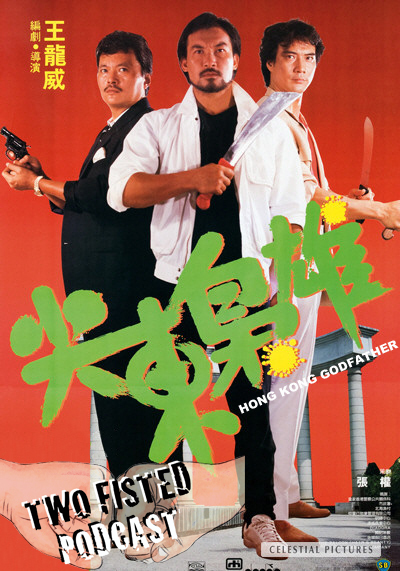 As I was growing up, I haven’t really started watching HK cinema until the late 80’s, and have never even heard of HKG, so this was very informative. I just watched the film on Tudou over the last a couple night, and it sure bring back some memories. Now i see the origins of “Young & Danderous”! Thanks so much Clawlesstiger and Jisong! We’ll try to figure out what’s making the “s” sound. I hope you enjoy the rest of the podcasts!